손탁 한글판 8판 3.111 솔루션 Sonntag korean 8th ed. 3.111 solution 문제 3.111  풀이 가정 1. 운동에너지와 위치에너지 변화 무시 2. 준평형 과정 3. 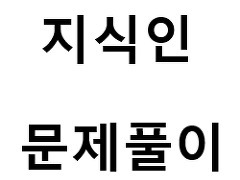 공기는 이상기체 4. 공기의 비열은 일정 5. piston-cylinder의 축열 무시 6. piston 질량 무시 7. cylinder의 가열부분 제외하고 piston-cylinder는 단열8. P0 = 101.3 kPa, ρ=1000 kg/㎥, g=9.81 ㎨, k=1.4 물의 높이 : h m piston-cylinder 단면적 : A ㎡ 2018/10/30 - [열역학 Thermodynamics/4. 밀폐계 Closed System] - 밀폐계 열역학 제1법칙 the first law of thermo..
문제 풀이 1 2018/10/26 - [열역학 Thermodynamics/12. 일반관계식 Thermodynamic Relations ] - 압축계수 팽창계수 compressibility & expansion coefficient 문제 풀이 2 2018/10/25 - [열역학 Thermodynamics/12. 일반관계식 Thermodynamic Relations ] - 편미분 관계식 partial differential relations 2018/10/25 - [열역학 Thermodynamics/7. 엔트로피 Entropy] - T ds 관계식 T ds equation 2018/10/26 - [열역학 Thermodynamics/12. 일반관계식 Thermodynamic Relations ] - 압축계수 ..